A study this week has revealed that one in five British couples sleep apart, with partners’ bedtime habits, such as snoring and fidgeting, cited as the most common reasons. With an estimated 15 million snorers in the UK alone, that’s a lot of people putting up with a noisy bed partner, or sleeping apart. We all know that sleep is crucial in order to be able to function efficiently during day-to-day life and a lack of sleep can play havoc with our concentration, tolerance and stress levels. Research from the Common Cold Centre at the University of Cardiff also indicates that sleep and the immune system are closely linked, with sleep deprivation disturbing the regulation of key chemicals that fight infection. 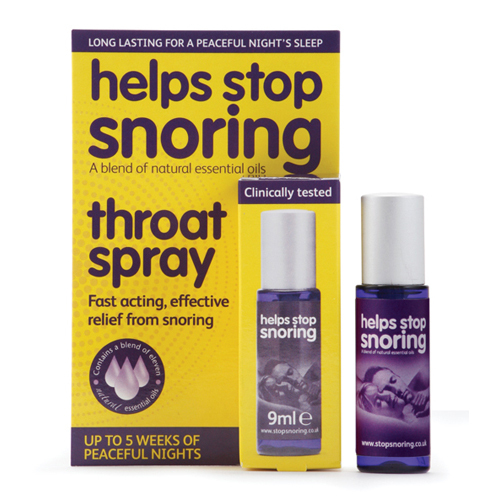 Helps Stop Snoring remedies all contain our blend of 11 essential oils, aimed at providing a natural remedy for your snoring problem. 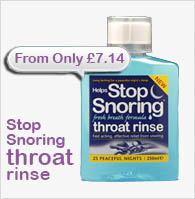 Our website provides a portal of snoring advice, from hints and tips on how to prevent snoring to products to help you tackle the problem head on. Whether you’re a long suffering bed partner or the snorer, a peaceful night sleep is just a few clicks away. 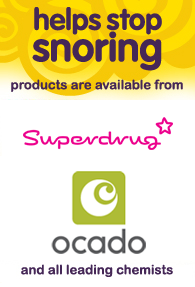 Visit www.stopsnoring.co.uk to find out how we can help. For most people snoring problems occur When, during sleep our breathing and heart rate slows and our muscles relax. This loss of muscle tone can cause the soft palate and other tissue in the throat to become limp and flaccid, reverberating as we breathe in and out and making the commonly recognised sound of a snore. The problems associated with snoring may exist even when we are awake, though improved muscle tone during waking hours is usually enough to prevent the dreaded snore.